Bachelor's degree of minimum three years or equivalent from a recognized university. 5% relaxation in aggregate score. NRI's or foreign candidates- eligible to apply on the basis of GMAT score. Communication medium: Candidates are expected to maintain a valid and unique e-mail account and a phone number throughout the selection process. All the updates related to XAT 2020 will be communicated to the applicant through his/her registered email id and phone number. Educational Qualification: Candidates should satisfy the minimum eligibility criteria for writing XAT 2020. A recognized Bachelor’s degree of minimum 3 years duration or equivalent in any discipline is mandatory for XAT 2020. Age Limit: There is no age limit for XAT 2020 applicants. 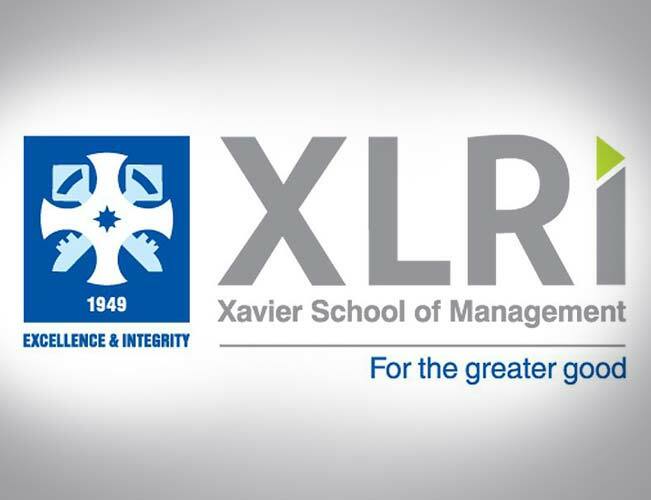 XLRI does not withhold any candidate from seeking admission through XAT exam for MBA/PGDM courses on the basis of age as an eligibility criterion. Final Year Students: Candidates appearing in their final year exam of their Under Graduate programme are also eligible to apply and attempt XAT 2020. NRI and Foreign: NRI and foreign candidates are also given the opportunity to apply for colleges (which accept XAT score) on the basis of their GMAT exam score. SC/ST Candidates: There are reservations for Scheduled Castes, Scheduled Tribes, OBCs and as well as for Physically Handicapped candidates for XAT 2020 exam. Candidates under reservation can enjoy a 5% relaxation in the qualification marks. Candidate should be in the final year of the Bachelor's degree programme. To be eligible to appear in XAT Exam, you require only a pass in your bachelor's degree while the other exams require a particular percentage of marks. XAT Exam Eligibility has not changed over the years. So, it is expected that in 2020 also, the XAT eligibility criteria will remain same. I am category student, is there any relaxation of marks? Yes, there is a relaxation of marks. SC/ST candidates: There is a quota system for Scheduled Castes, Scheduled Tribes, OBCs as well as for Physically Handicapped Classes for XAT 2019. There is a 5 percent relaxation in the marks eligibility for reserved candidates XAT 2019. For XAT 2019 examination, there is no specific allocation of seats in terms of numbers for the reserved categories of candidates. Click Here to read more about the eligibility of XAT 2018. In graduation i have scored 50% marks but after rounding up 49.87%, am i eligible? You can try and apply for the exam. I am in my final year. Can I take the XAT exam? Yes, candidates, who are in their final year of graduation can take the XAT examination. XLRI and other Associate Members by applying for XAT 2017? Am I eligible for XLRI and other Associate Members by applying for XAT 2017? XAT score is accepted to get admission in a total of 11 XAT Member Institutes for their respective courses. Since XLRI is the conducting body of XAT examinations, so the candidates can apply for the admission in the institute. What are the XAT eligibility criteria 2017? Candidate should have obtained Bachelor’s Degree with minimum three years or an equivalent of any discipline. Those who are in final year completing their final examination by June 10, 2017, can also apply. All Indian Candidates can appear for XAT 2017. However, NRI and Foreign candidates can also apply through GMAT score with exceptions of Dubai and Kathmandu, wherein candidates also have an option of appearing through XAT 2017. Is there allocation for seats for reserved categories for XAT 2018? No, there are no seats allocated for reserved categories under XAT 2018. Is there a specific percent relaxation for the SC/ST candidates? Yes, there is a 5% relaxation in the marks eligibility department for the Scheduled Castes, Scheduled Tribes, OBC's as well as Physically Handicapped Classes. What is the required qualifying marks to apply for XAT 2017? The candidate must have scored at least 50 per cent marks in their graduation degree. I am 22 years old. I have done my Bachelor degree.Can I apply for XAT 2017? There is no age bar for taking XAT for admission into XLRI and allied institutes. May I know the Age limit for applying for XAT 2017? There is no age bar for applying to XAT 2017 and it's allied institutes.